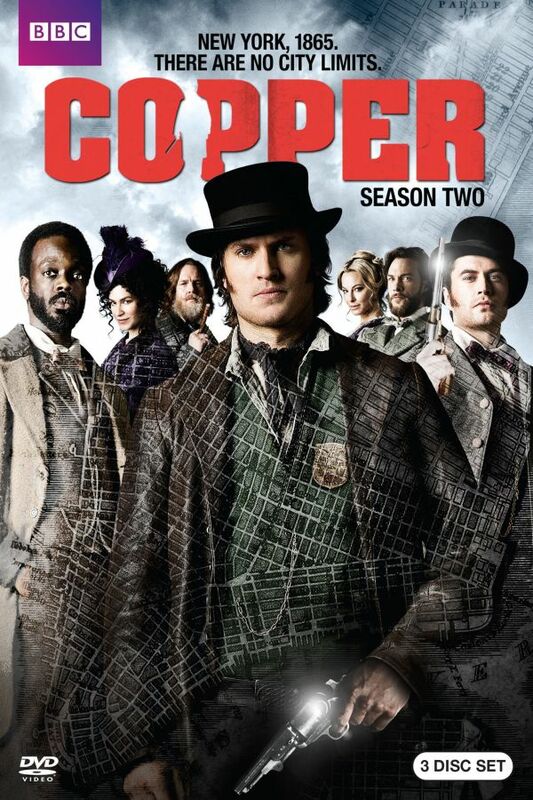 Copper font here refers to the font used in the logo of Copper, which is a drama television series that centers on the story of an Irish immigrant policeman who tries to keep the peace in the historical Five Points neighborhood in 1860s New York City. The logo of the TV show was probably designed based on Aachen, a slab serif designed by Letraset type director Colin Brignall in the 1960s. The typeface features extra bold weight and short serifs. You can view more details about it here. In addition to Copper, Aachen typeface is also used in the following logos, movie posters or album covers etc., including: Buffalo Wild Wings, Deadliest Catch, Nature Calls, Machete Kills, Masha and the Bear, The Departed, Grindhouse (film), Merril Lynch, God Hand, Football Manager 2016, The Game Plan, Thug Holiday, Boyz n da Hood, Down and Dirty, FDB.